Adam Lambert Releases a New Attitude Song – Two Fux – And It’s Coming On Strong!! 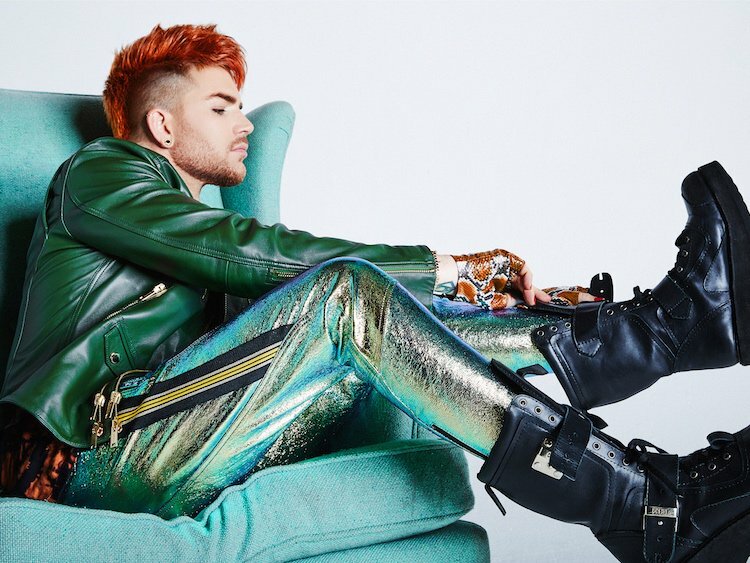 You are here: Home / More Featured Posts / Adam Lambert Releases a New Attitude Song – Two Fux – And It’s Coming On Strong!! Then Queen + Adam Lambert concert goers were excited to discover it’s included on the tour set list, going across the nation right now. While the title and lyrics were a little shocking to some, if you’ve spent any time studying Adam’s career, there shouldn’t be any shock at all. Adam does what he wants, when he wants, how he wants, and that’s that! When you listen to the words, it becomes quite obvious that Adam is really settling into himself and is quite content. If you haven’t bought the song yet, please go buy it from your favorite music provider. Let’s get it trending! Lambert’s new music has developed tremendously from 2015’s The Original High, both sonically and lyrically, abandoning the narrative of wanting more and honing the realization that he’s enough as is. On the album’s dramatic opener, he repeats the grim line, “My heart is a ghost town,” above Max Martin’s euro-pop production—a far cry from today’s empowered “Two Fux,” drenched in ’70s glam production. “No one gets me like myself,” he says now with aplomb. Currently on an international tour with Queen, Lambert’s gone from American Idol to queer rock icon, filling frontman Freddie Mercury’s shoes each night with his own powerhouse vocals and newly magnetic fire-orange hair. Flanked by drummer Roger Taylor and guitarist Brian May, he wails classic hits—”We Will Rock You” and “Another One Bites the Dust”—slipping in his own original material, as well, including “Two Fux,” which nearly sounds like a lost Queen song. To me,the song is about being ok with being yourself. It took me a long time to get to get to that point. I have relatives older than I am (51) who still aren’t there yet. Being diagnosed with a genetic connective tissue disorder, Ehlers Danlos-hypermobility type,helped because it was either keep pleasing other people and be miserable, or be myself and be happy. My kids get it, so they aren’t embarrassed when I wear “Mr Bones” (a skeleton necklace) to the rheumatologist or the ortho,wear crazy hats, or anything else.Apparently people my age (my mom,not my kids) aren’t supposed to like Walking Dead, Dr Who etc etc. Love her but don’t give two fux. I love this song and will buy whatever album it appears on. I think kids just don’t want to think they like the same things as older people. I’m 48, but I remember that feeling well!